99bites: crunchy cauliflower and brussel sprout "chips"
This snack is super easy to make, and a great low-calorie, healthy alternative to chips or fries! Preheat oven to 400 degrees. 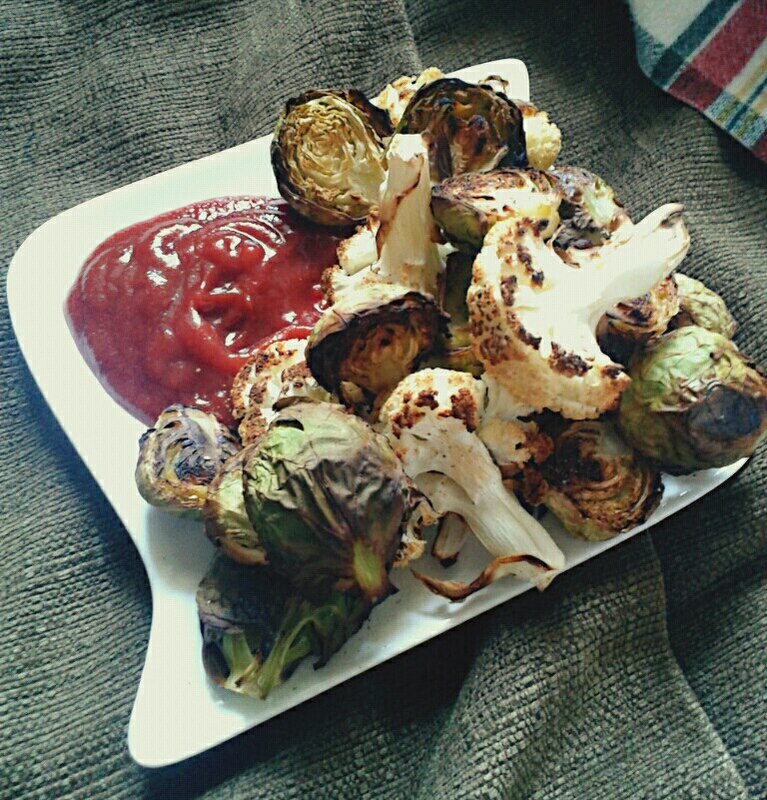 Break the cauliflower up into little heads, and halve the brussel sprouts. Spray lightly with cooking oil and stick in the oven for ~ half an hour. Keep checking regularly for desired crunchiness. I like to eat 'em up with a mixture of ketchup, dijon, tamari, tabasco and liquid smoke.